FMWIT-C - Forge Motorsport Alloy Fluid Tank - Water/Methanol - Pann Auto Performance - San Diego largest aftermarket automotive performance parts - What do you drive? 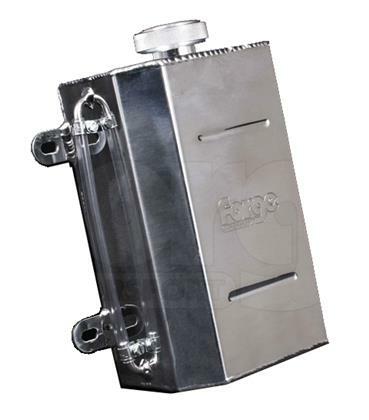 Forge have designed this water methanol tank as a direct replacement for other cheap plastic tanks that are available. This hand crafted tanks comes with 4 solid mounting points and a level sensor hole ready to allow fitting of your water meth kit sender. It also has a site glass tube for easy checking of the levels.